Hayashi Kaiun Group｜Hayashi Kaiun Co.Ltd. 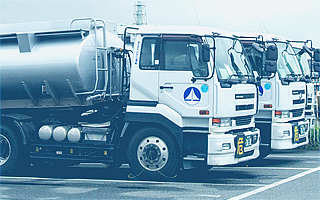 Hayashi Unyu is a specialized company for land transportation and serving in a core function in JXTG Nippon Oil & EnergyCorporation bulk lube distribution. 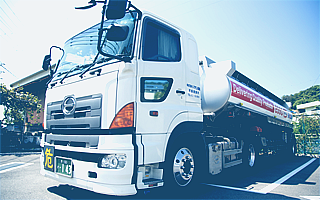 In Shimotsu Port, marine bunkering fuel and commodity deliveries for the anchoring vessels are provided Insurance agency of Mitsui SumitomoInsurance and Mitsui Sumitomo Life Insurance are also handled for household and business needs. 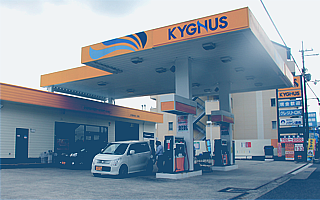 Hayashi Kotsu has been providing employee commuter bus service for JXTG Nippon Oil & EnergyCorporation Sekiyu and Tonen Chemical co., Kawasaki Factory flawlessly since the company start. 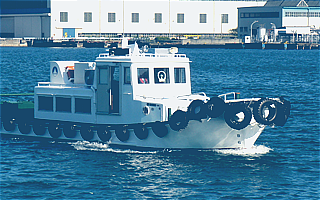 The company is operating port ferry service for crew and their family member of ships being anchored at Wakayama Shimotsu Port. As Shimotsu Port is a prominent port in its beautiful scenic, safe and comfortable cruising is our credo. In and after the transformation process to current 'Customer Service', Forest have been obtaining experiences and skills of overall order fulfillment including payment and receivables control, including lube oil as well. 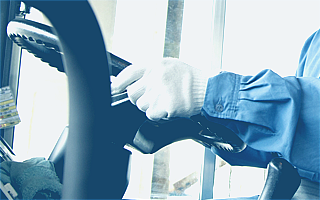 Senboku Oil Kiko (SOK) is one of key contractor in JXTG Nippon Oil & EnergyCorporation Sekiyu Sakai Refinery for ship agency, marine shipping/receiving, land shipping operations and construction works. SOK is challenging diversified area such as tank maintenance and construction work utilizing construction know-how's obtained.